You will forget that hard day at work when you relax at home in our ultra-soft L.B. Evans HideAways Marion moccasin slippers for men. Our handsome velvety suede leather L.B. Evans men’s moccasins have plaid flannel linings for cozy warmth and foam padding for more soft support. They’re perfect for a Saturday afternoon at home, and stylish enough for a casual Saturday night date. The expert craftsmen at L.B. 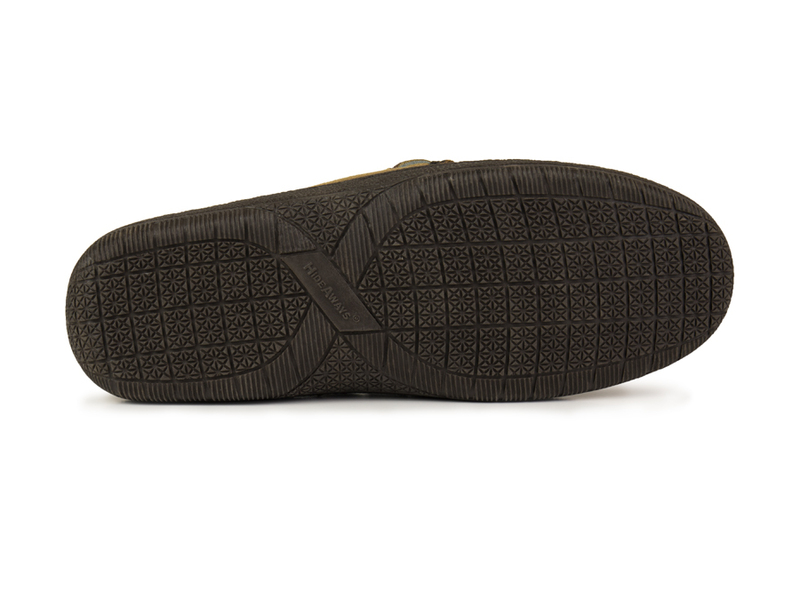 Evans constructed the indoor/outdoor outer sole to be sturdy, but lightweight and slip-resistant on this premium Marion-style comfort moccasin from their trademarked HideAways line of men’s slippers. Comments: These are the best slippers that I've ever owned. This is the second pair that I have had, and the first pair lasted over 5 years of daily wear. This included outdoor wear in all types of weather conditions. 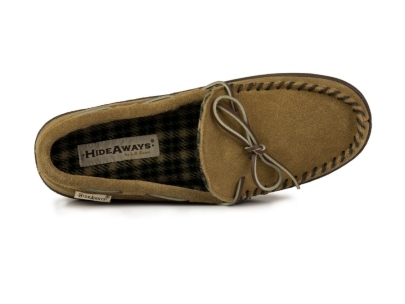 "Hideaways Marion - Great Moccasins"
Comments: This is the 2nd pair we have ordered. They are great quality, wear well and very comfortable. They also come in widths which few others do. Highly recommend these. 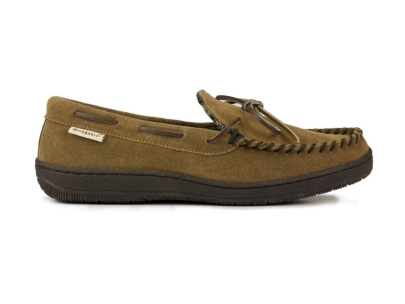 "Best moccasins I've ever had"
Comments: Best foot gizmos ever. Too bad the version with fuzzy insides is no longer on offer. They were the bestest.